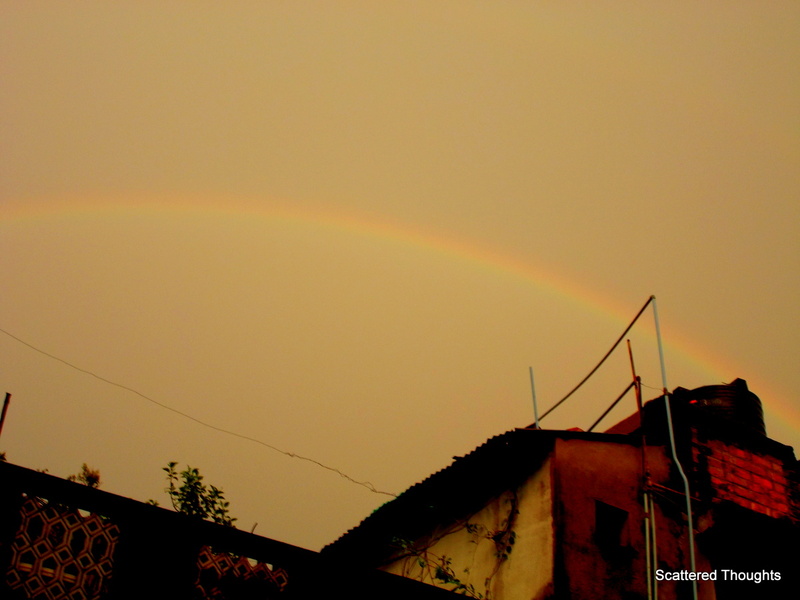 Last week after a downpour the Kolkata sky suddenly revealed the truly blissful ethereal wonder...RAINBOW…. “my heart leaps up..!” Wow! WOW! 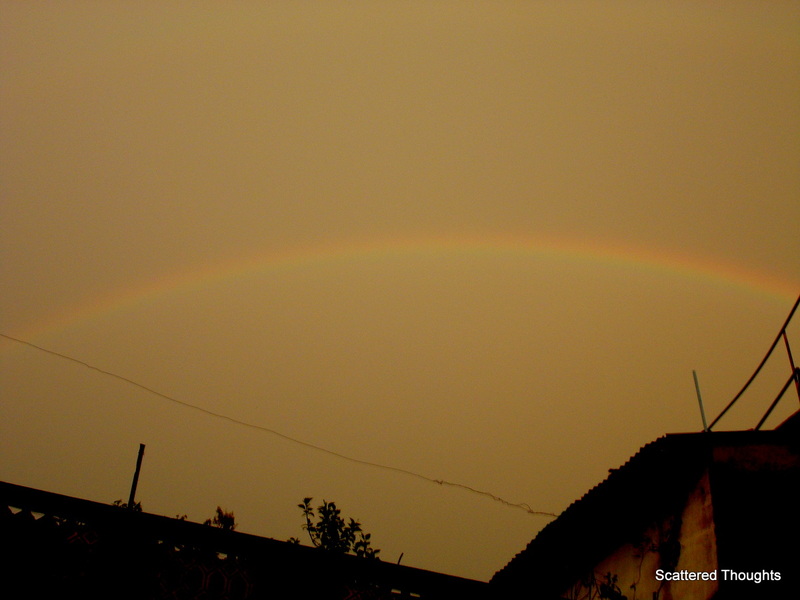 Rainbow reminds me of childhood. It is always such an uplifting sight! Lovely pictures. WOW …. a full curve ! How did you manage to put the seven colors in the word RAINBOW.must have took a lot of time right?you used font color?